The Justice Department has filed a lawsuit against the state of California, charging that its newly enacted net neutrality law places “unlawful burdens” on the federal government's efforts to deregulate the internet. The suit was filed within hours of California Gov. Jerry Brown signing the net neutrality bill into law. California’s net neutrality law cleared both houses of the legislature by wide margins. The law reimposes the standard enacted by the Federal Communications Commission (FCC) under the Obama administration in 2015. It requires all internet service providers to treat all internet traffic the same. For example, under the previous national policy, overturned by the Trump administration last December, networks could not charge more to companies offering video streaming services. They also could not slow down a service like Netflix while providing faster speeds to their own streaming services. 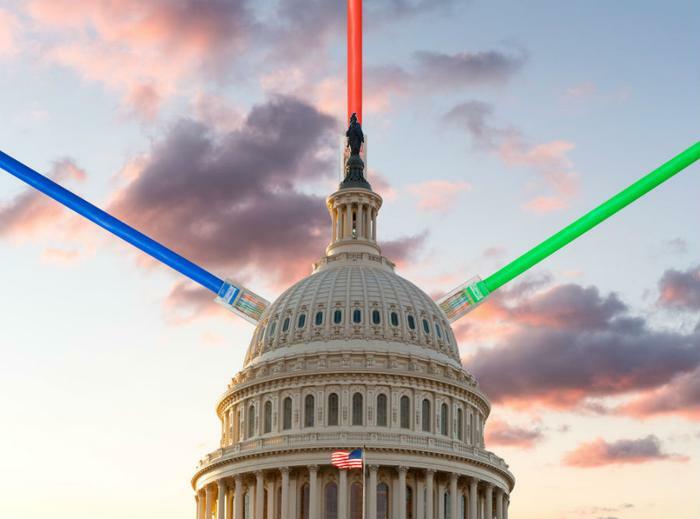 California State Senator Scott Wiener spearheaded the drive to reimpose net neutrality in the state and said the final product constituted “the strongest net neutrality standards in the nation." The Justice Department suit takes a different view, saying the California law attempts to regulate the internet, which is now contrary to federal law. Pai makes the claim that net neutrality, as envisioned by the California law, hurts consumers. He says that under the law, large ISPs like Verizon and AT&T would be prohibited from offering some free data plans he says allow consumers to stream video and music, exempt from any data limits. But supporters of net neutrality argue they are the ones defending a free and open internet. Without it, they say corporations will decide what you can see online and how fast you can see it. The argument probably won't be settled anytime soon, and when it is it will probably be the Supreme Court that settles it.